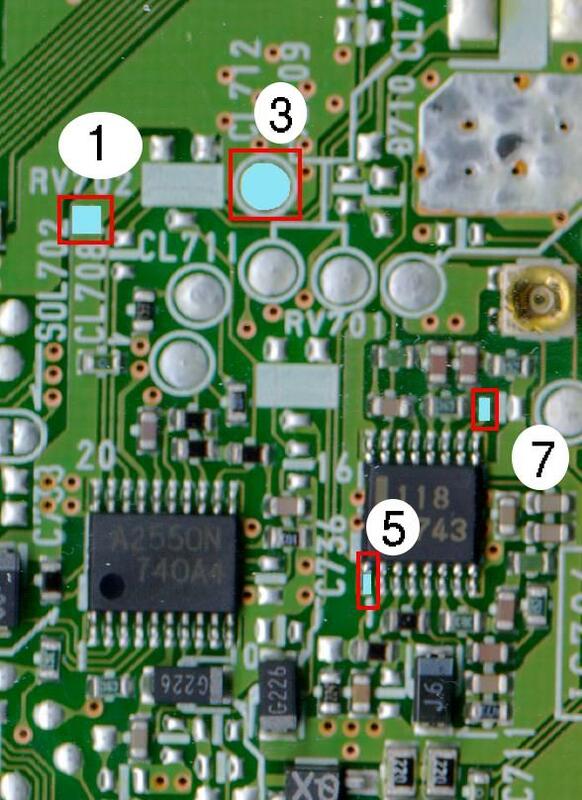 Locate a pad further up that same trace and solder a wire from that pad to either the groundplane for PAL (SCPH-7002) consoles or Vdd for NTSC (SCPH-7000/7001) consoles. Mount the Colormod board on the top plate of the PS by use of a ~5mm spacer. Then reverse the disassembly instructions, remembering to connect the wiring harness to the module before replacing the outer cover on the PS unit.